1 A None No Power Seat 1 A is an Economy Class Exit Row seat that is dedicated by EasyJet as an XL Seat. XL seats have extra legroom, however these seats are priced higher and come with the Speedy Boarding pass, allowing dedicated check-in and priority boarding. The close proximity to the lavatory and galley may be bothersome. Some passengers have reported this seat to be colder and draftier than other seats on this plane. The tray table is in the armrest, making the armrest immovable and slightly reducing seat width. 1 B None No Power Seat 1 B is an Economy Class Exit Row seat that is dedicated by EasyJet as an XL Seat. XL seats have extra legroom, however these seats are priced higher and come with the Speedy Boarding pass, allowing dedicated check-in and priority boarding. The close proximity to the lavatory and galley may be bothersome. The tray table is in the armrest, making the armrest immovable and slightly reducing seat width. 1 C None No Power Seat 1 C is an Economy Class Exit Row seat that is dedicated by EasyJet as an XL Seat. XL seats have extra legroom, however these seats are priced higher and come with the Speedy Boarding pass, allowing dedicated check-in and priority boarding. The close proximity to the lavatory and galley may be bothersome. The tray table is in the armrest, making the armrest immovable and slightly reducing seat width. 1 D None No Power Seat 1 D is an Economy Class Bulkhead seat that is dedicated by EasyJet as an XL Seat. XL seats have extra legroom, however these seats are priced higher and come with the Speedy Boarding pass, allowing dedicated check-in and priority boarding. The close proximity to the lavatory and galley may be bothersome. The tray table is in the armrest, making the armrest immovable and slightly reducing seat width. There is no floor storage for this seat during take-off and landing. 1 E None No Power Seat 1 E is an Economy Class Bulkhead seat that is dedicated by EasyJet as an XL Seat. XL seats have extra legroom, however these seats are priced higher and come with the Speedy Boarding pass, allowing dedicated check-in and priority boarding. Although these seats are supposed to have extra legroom passengers have reported that the Bulkhead interferes with your legroom. The tray table is in the armrest, making the armrest immovable and slightly reducing seat width. There is no floor storage for this seat during take-off and landing. 1 F None No Power Seat 1 F is an Economy Class Bulkhead seat that is dedicated by EasyJet as an XL Seat. XL seats have extra legroom, however these seats are priced higher and come with the Speedy Boarding pass, allowing dedicated check-in and priority boarding. Although these seats are supposed to have extra legroom passengers have reported that the Bulkhead interferes with your legroom. The tray table is in the armrest, making the armrest immovable and slightly reducing seat width. There is no floor storage for this seat during take-off and landing. 10 A None No Power Seat 10 A is an Economy Class Exit Row seat that is dedicated by EasyJet as an XL Seat. XL seats have extra legroom, however these seats are priced higher and come with the Speedy Boarding pass, allowing dedicated check-in and priority boarding. Unlike most Exit Row seats where the Tray Table is in the armrest, these seats have standard Tray Tables on the seat ahead. 10 B None No Power Seat 10 B is an Economy Class Exit Row seat that is dedicated by EasyJet as an XL Seat. XL seats have extra legroom, however these seats are priced higher and come with the Speedy Boarding pass, allowing dedicated check-in and priority boarding. Unlike most Exit Row seats where the Tray Table is in the armrest, these seats have standard Tray Tables on the seat ahead. 10 C None No Power Seat 10 C is an Economy Class Exit Row seat that is dedicated by EasyJet as an XL Seat. XL seats have extra legroom, however these seats are priced higher and come with the Speedy Boarding pass, allowing dedicated check-in and priority boarding. Unlike most Exit Row seats where the Tray Table is in the armrest, these seats have standard Tray Tables on the seat ahead. 10 D None No Power Seat 10 D is an Economy Class Exit Row seat that is dedicated by EasyJet as an XL Seat. XL seats have extra legroom, however these seats are priced higher and come with the Speedy Boarding pass, allowing dedicated check-in and priority boarding. Unlike most Exit Row seats where the Tray Table is in the armrest, these seats have standard Tray Tables on the seat ahead. 10 E None No Power Seat 10 E is an Economy Class Exit Row seat that is dedicated by EasyJet as an XL Seat. XL seats have extra legroom, however these seats are priced higher and come with the Speedy Boarding pass, allowing dedicated check-in and priority boarding. Unlike most Exit Row seats where the Tray Table is in the armrest, these seats have standard Tray Tables on the seat ahead. 10 F None No Power Seat 10 F is an Economy Class Exit Row seat that is dedicated by EasyJet as an XL Seat. XL seats have extra legroom, however these seats are priced higher and come with the Speedy Boarding pass, allowing dedicated check-in and priority boarding. Unlike most Exit Row seats where the Tray Table is in the armrest, these seats have standard Tray Tables on the seat ahead. 11 A None No Power Seat 11 A is an Economy Class Exit Row seat that is dedicated by EasyJet as an XL Seat. XL seats have extra legroom, however these seats are priced higher and come with the Speedy Boarding pass, allowing dedicated check-in and priority boarding. Unlike most Exit Row seats where the Tray Table is in the armrest, these seats have standard Tray Tables on the seat ahead. 11 B None No Power Seat 11 B is an Economy Class Exit Row seat that is dedicated by EasyJet as an XL Seat. XL seats have extra legroom, however these seats are priced higher and come with the Speedy Boarding pass, allowing dedicated check-in and priority boarding. Unlike most Exit Row seats where the Tray Table is in the armrest, these seats have standard Tray Tables on the seat ahead. 11 C None No Power Seat 11 C is an Economy Class Exit Row seat that is dedicated by EasyJet as an XL Seat. XL seats have extra legroom, however these seats are priced higher and come with the Speedy Boarding pass, allowing dedicated check-in and priority boarding. Unlike most Exit Row seats where the Tray Table is in the armrest, these seats have standard Tray Tables on the seat ahead. 11 D None No Power Seat 11 D is an Economy Class Exit Row seat that is dedicated by EasyJet as an XL Seat. XL seats have extra legroom, however these seats are priced higher and come with the Speedy Boarding pass, allowing dedicated check-in and priority boarding. Unlike most Exit Row seats where the Tray Table is in the armrest, these seats have standard Tray Tables on the seat ahead. 11 E None No Power Seat 11 E is an Economy Class Exit Row seat that is dedicated by EasyJet as an XL Seat. XL seats have extra legroom, however these seats are priced higher and come with the Speedy Boarding pass, allowing dedicated check-in and priority boarding. Unlike most Exit Row seats where the Tray Table is in the armrest, these seats have standard Tray Tables on the seat ahead. 11 F None No Power Seat 11 F is an Economy Class Exit Row seat that is dedicated by EasyJet as an XL Seat. XL seats have extra legroom, however these seats are priced higher and come with the Speedy Boarding pass, allowing dedicated check-in and priority boarding. Unlike most Exit Row seats where the Tray Table is in the armrest, these seats have standard Tray Tables on the seat ahead. 25 C None No Power Seat 25 C is an Economy Class seat towards the rear of the plane, however the proximity to the lavatories behind may be bothersome. 25 D None No Power Seat 25 D is an Economy Class seat towards the rear of the plane, however the proximity to the lavatories behind may be bothersome. 26 A None No Power Seat 26 A is an Economy Class seat in the last row of the plane that can feel cramped due to the curvature of the fuselage. This row is missing a window and the close proximity to the lavatories behind may be bothersome. Also, this seat may have limited to no recline. 26 B None No Power Seat 26 B is an Economy Class seat in the last row of the plane. This row is missing a window and the close proximity to the lavatories behind may be bothersome. Also, this seat may have limited to no recline. 26 C None No Power Seat 26 C is an Economy Class seat in the last row of the plane. This row is missing a window and the close proximity to the lavatories behind may be bothersome. Also, this seat may have limited to no recline. 26 D None No Power Seat 26 D is an Economy Class seat in the last row of the plane. This row is missing a window and the close proximity to the lavatories behind may be bothersome. Also, this seat may have limited to no recline. 26 E None No Power Seat 26 E is an Economy Class seat in the last row of the plane. This row is missing a window and the close proximity to the lavatories behind may be bothersome. Also, this seat may have limited to no recline. 26 F None No Power Seat 26 F is an Economy Class seat in the last row of the plane that can feel cramped due to the curvature of the fuselage. This row is missing a window and the close proximity to the lavatories behind may be bothersome. Also, this seat may have limited to no recline. On new versions of easyJet's A319, none of the seats, except for row one, recline. On older versions, all seats do recline. Beware the seats in the back of the plane are narrower than those in the front. This seat is noticeably narrower compared to other seats on the plane due to the aircraft shape. I am not an oversized passenger but felt very uncomfortable, wedged into the seat and unable to move throughout the flight. My flight was only 45 mins- 1 hour (LGW- AMS) but any longer could be unbearable. The row is also missing windows on either side and the window seat looks even narrower due to the plane walls coming inwards. Due to the fact that row 25 and 26 stick out slightly from the rest, on an aisle seat you will get nocked by cabin crew. I found the legroom very spacious but I am only 5'8 and noticed that there seems to be less on this row than others on the plane. Having flown easyJet a number of times, I have never had an issue with seat width before so was surprised at my experience. Despite this and against the advertised seat widths, I would say that (regardless of the reduced width on this row) seats on competitors Ryanair and FlyBe do feel much wider and offer a more comfortable journey. This seat is terrible. I was constantly elbowed by the two people beside me. The seat was so narrow that I really could not move the entire flight. As someone who generally does not mind flying this row is absolutely irredeemable. Definitely worth paying for a seat just to avoid this row. 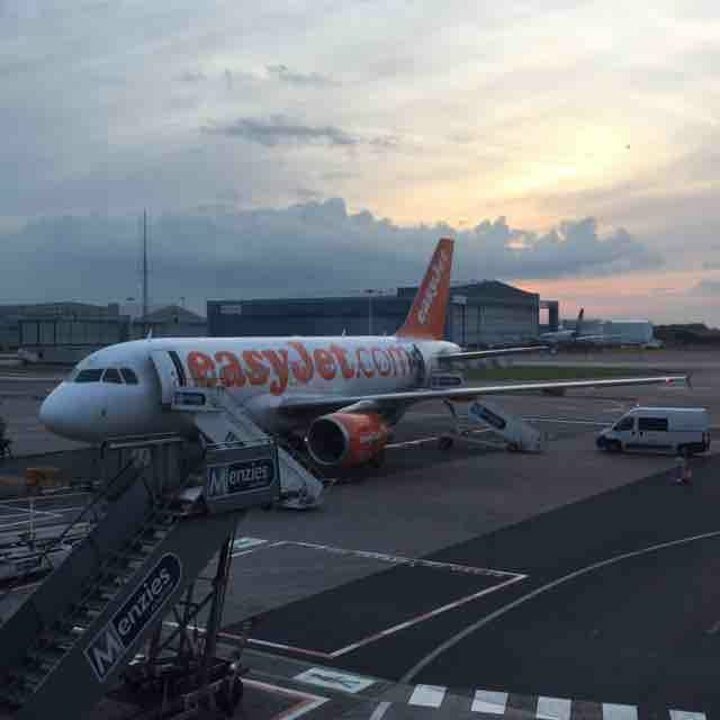 Avoid seat row 26 in easyjet's A319 aircraft. The legroom is noticeably less and the seats are narrower. There are NO windows on either side of this row. On BA's A319's, this row is occupied by two toilet blocks. Easyjet has one toilet at the rear bulkhead beside a 'half galley'. Seat row 26 is very, very cramped. This seat is appalling. It was so cramped and I literally could not move my legs the entire trip. I also (very embarassingly) had to ask for a seatbelt extension as the belt was stuck down at the side. Absolutely horrendous and surprised at Easyjet for allowing these seats on their flights. I find on this aircraft the legroom not so good due to bits and bobs attached to the exit door that point inwards. Row 26 is a total disgrace and no doubt only becaues of corporate greed is it there in the first place. It claustrophobic in the extreme ;has narrower seats ,even less legroom and no window. There is no way this should be charged for at the same fare. Limited leg space, This seat is not in line with the seat in front so the tray table does not work nicely, it doesn't give any space between your stomach and the end of the tray. The arm rests go inwards pinching your sides. Avoid at all costs. 7F is an original seat, no refurbished seats so comfortable plush seating with more than adequate legroom for my 5ft 8" or 172cm height. I love Airbus products as you get an 18" seat. Only issue being slightly round in the belly area the tray table does not fold down completely but that's something for me to work on so I can get the tray table behind my gut. I had seat 7F on my flight from FCO to AMS. The seat was comfortable. I am 1,85m tall, but I had enough legroom (didn't even touch the seat in front of me). The seatwith was also really good, better than on the boeing 737 of Ryanair or Transavia. To look out of the window you need to lean forward quite a bit, since the window is not really good alligned. 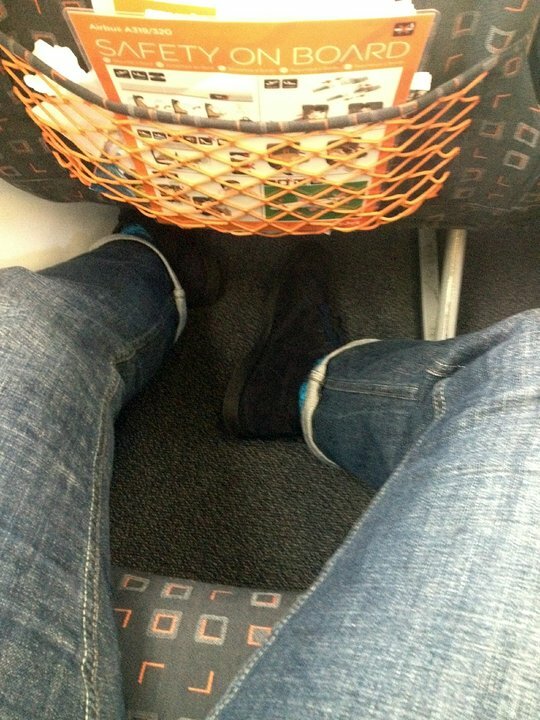 Overall a good seat for a 2:30 hour flight, and I would happely fly with EasyJet again! Seat 26F is a joke! Seriously reduced in width, slightly offset to the row in front making it uncomfortable to put your feet under the seat. As others have said no window. Assume 26A is the same. Easyjet allocate these seats despite having other free seats (including complete empty row) which seems stupid. The trip from Paris to London-Luton went alright as I expected. The seat did not recline but I had plenty of room to place my knees out. Overall it was an OK flight. Good seat as disembarkation at LGW is from a airbridge at the front of the aircraft. As a nervous flier I have to have a window seat and don't like being kicked from behind so always select the back row. When selecting my paid for seats at booking it's not made clear at all that row 26 is against a solid wall with no window either side. It was the same on the A320 back row 28 on return flight and ruined the flight for me. 26C and D are narrower seats than the standard. Exit row seating has great legroom and comfort. Seats do not recline, so there are no arguments with impolite people who recline too much. No underseat storage of hand luggage during takeoff or landing. Cabin crew friendly and efficient. use Easyjet all year round. prefer to pay a little extra and book seats on the emergency rows. more leg room, decent views and speedy boarding. beats all other seats every time. do the same with all budget airlines. I,m 6ft 1 tall, normal build and learnt not to let airlines choose my seats many years ago. Emergency exit.Extra leg room. Window view on the wing, limited visibility in case you want to take photos. The hand luggage cannot stay under the front seat during landing and take off. Easyjet..Alicante to Bristol.Airbus A319 Sat behind emergency exit seats in row 12. Leg room very cramped,seat belt short and tray table very close to your tummy. This A319 airbus is not as roomy or as comfortable as the Madrid outbound airbus A320 we flew from the same airport at bristol. The width within the armrests' of this seat is narrower that that of those either side. The left arm rest is in direct line with the rows in front - the right armrest alignment is on the inside left of the rows in front. There is more room in the front row of a Rugby scrum. Seat row 26 has no windows and is very cramped. British Airways A319's have two toilet blocks at this same seat row position. On EasyJet its only a half galley at the rear with ONE toilet attached to the same bulkhead. Passengers stand here while the crew are serving. Its crazy and overpowering. Avoid EasyJet at all costs. Having flown from gatwick in seat 5d, which was very comfortable,I was surprised by the difference in seat 25a which was definitely narrower with a shorter seatbelt and less leg room, larger folk beware! this seat is unbearable cold, because you are sitting behind a little room divider, and the cold air from the door exit, which is right behind that room divider is coming through very cold, hitting your right leg. Seat 26B is ridiculous and DEFINATELY smaller ie. less width than any other seat I have EVER sat in. I am a size 16 woman and there was no way that I could fit into this seat (especially with the two large gentlemen that sat either side of me). I wedged myself in on one buttock for take off and then found a stewardess to explain the situation. She told that the flight was full, when I pointed out a number of unused seats towards the front of the plane she offered to "upgrade" me if I would like to pay extra!!! I didn't pay on principle and spent the whole flight standing in the galley! I travel with easyjet ALL of the time and have NEVER had a problem with the seats - yes they don't always have as much leg room as other premium airlines but at the end of the day you get what you paid for. I thought that customer service was supposed to be improving on easyjet!! The back row is reduced-width and reduced-pitch (front-to-back measurement). Avoid at all costs, these seats are narrow, uncomfortable, and crammed-in. Worst I've experienced, and on a full, 2+hr flight, and absolute nightmare. There is a galley at the rear on the right hand side, not a lavatory. I'm neither tall nor wide, so the seats are fine for me. Slight issue when larger passengers squeeze into the middle seats (why don't they pay a couple of quid for an aisle seat?). If you fly often, join easyJet Plus and get seat selection free - including the expensive ones. 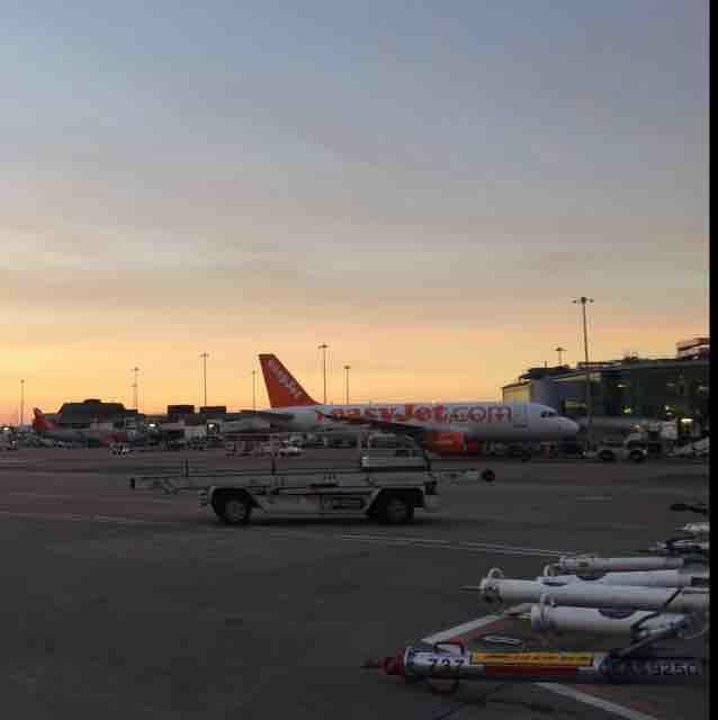 easyJet have improved customer service onboard hugely over the past year or two, and are now almost civilised. Wish I could say the same for Gatwick / Menzies which just aren't up to it. Front seat allows quick boarding and you can be first off the aircraft which is handy. Extra leg room throughout the flight is wonderful. Proximity to the crew during take off and landing can be a pro or con depending on the crew (Most times I have been pleased and can have nice conversations). Proximity to bathroom is not a huge issue and it has never bothered me in this seat. Because Seat 20F does not align with the window it is extremely restricted in width. The cabin wall encroaches into shoulder space making it very cramped and uncomfortable. Nice seat. The window is directly next to you and you have a very nice wing-view. There is a gap between 26A and the fuselage, which means seats in row 26 are narrower than those in front. There is also a window missing next to 26A. Row behind exit row seats. Comfortable, not too noisy. Seemed to have a little extra leg room than normal. Great views of Geneva and France when flying in and out. Would definitely recommend sitting on left hand side for this journey as the views on the right appeared to be no where near as good! Fab flight. This flight was actually very comfortable for the cost. I realized I had struck gold when I realized that this A319 had reclining seats unlike the A320, so I was very pleased. Drinks don't cost that much, crew was actually nice. Plane was clean, seats were comfortable but legroom was still tight. 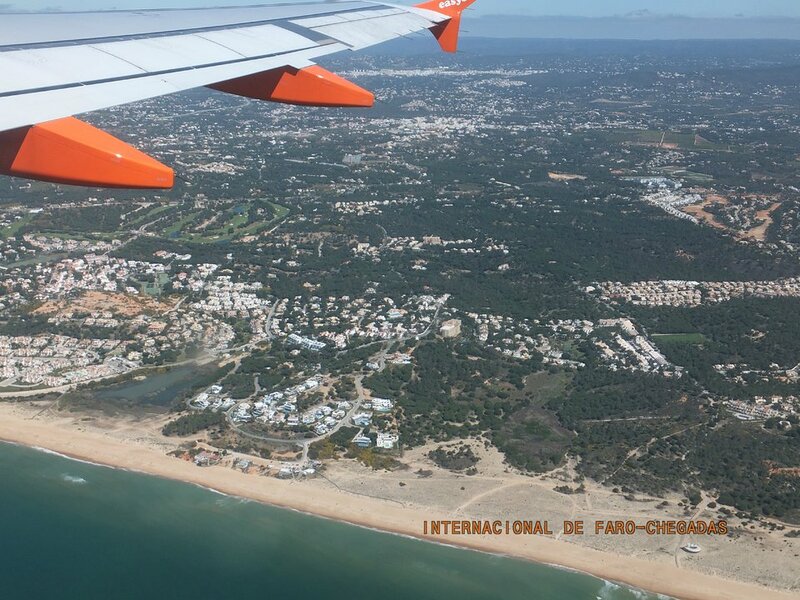 easyJet is a very good quality for the cost compared to US Spirit Airlines or RyanAir. Terrible seats. Never had so little space. Spent most of the trip standing in the galley. This is an absolutely great seat! I am 6ft 8in tall and require an extension seatbelt, which rules me out of being able to sit in the exit row seats 1A - 1C. If like me you are tall and also of large build then the bulkhead seats 1D - 1F are the seats to choose! Plenty of width and great legroom! On the flight from Geneva to Tel Aviv I flew easyJet's A319 which still had a reclining seat and therefore one of I presume their older aircrafts. Excellent window seat. Even if the seats are now gradually being fixed I believe for a 4 hour flight that is fine and comfortable much more than any other international airline seating on the emergency exits. My comment is just that I will now consider flying with easyJet now they have non reclining seats. I have been the victim of inconsiderate passengers reclining as soon as they sit down and have long hoped for an option to have a batch of non reclining seats. You get what you pay for. Seats are narrow but bearable. Prices for meals and drinks are high, so bring your own if you can. The coffee they serve is good and definitely worth the few Euros. non reclining seats are a must on short haul budget flights of up to 3 hours with limited space. seating on these flights are quite satisfactory as long as the person in front does not impose on you. Nice for them but most inconsiderate to the person behind. Having flown with other budget airlines recently I found this flight provided pretty decent comfort for my short haul journey (2:30 plus taxi and extra faff). I understand that many have an issue with the non-reclining seats, but having the passenger in front not crushing you the moment they get a chance is a relief, and I applaud EasyJet's decision to cut that nonsense right out. Found the whole easyjet experience very good. Seats do not recline, which means you are not squashed in -like other airlines,if the passenger in front reclines their seat. Have also used seats 10a, 3a & 5f. All good. Bristol crew very friendly & professional. Easyjet's advance check-in means you get automatically assigned a middle seat of three with no option to change. I put this fact onto EasyJet's Facebook page and it was immediately edited out. I have submitted a subsequent note and I daresay that will be edited out, too. This flight had the new non-reclining seats (A319 I believe). Even on a short flight from Geneva to Bristol I found them quite uncomfortable for my back. Just an inch or so of recline is OK for me, but not this upright fixed angle. I have complained to Easyjet. I suggest others who feel the same way, do so also. It will certainly make me reconsider using the airline if this becomes the norm. 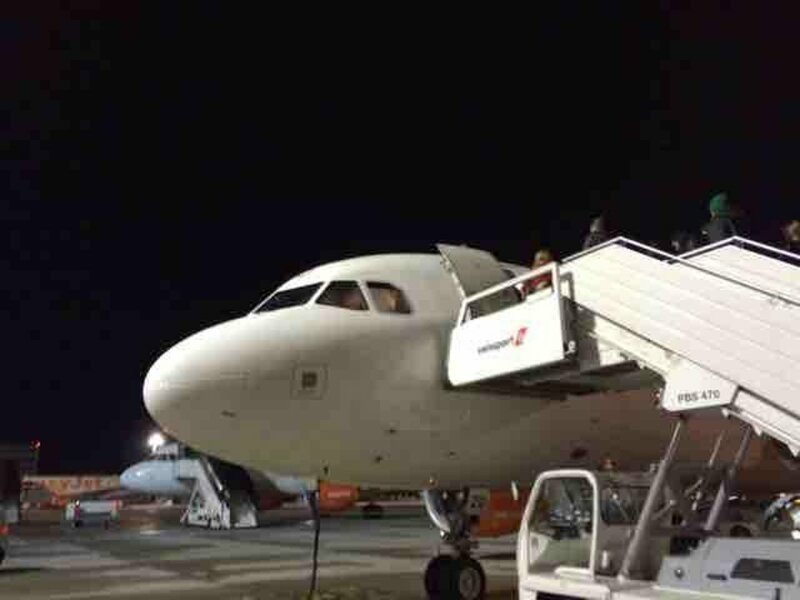 easyJet flies 1 versions of Airbus A319.